Provide charging infrastructure for electric vehicles for on-site parking. Install electrical vehicle supply equipment (EVSE) in 2% of all parking spaces used by the project or at least two spaces, whichever is greater. Clearly identify and reserve these spaces for the sole use by plug-in electric vehicles. Be vehicle to grid connected (e.g. ISO 15118 compliant) and capable of responding to time-of-use market signals (e.g. price). Projects pursuing EA credit Grid Harmonization should incorporate EVSE into any demand response program or load flexibility and management strategies. 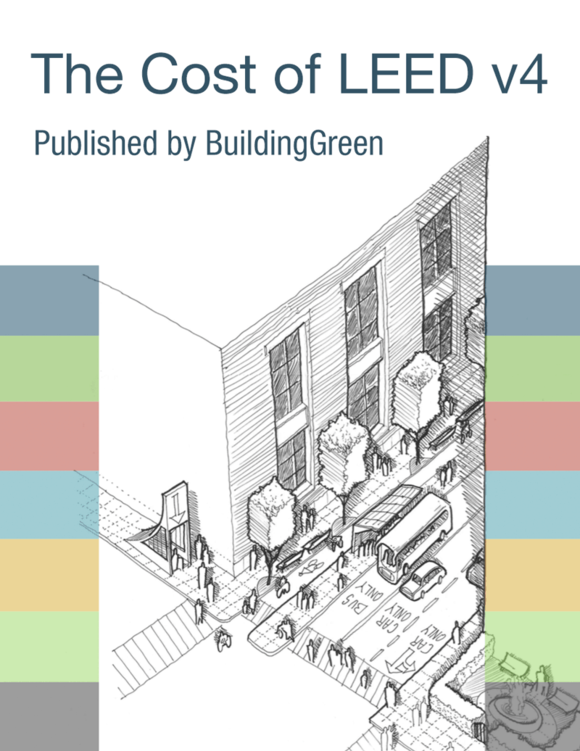 Make 6% of parking spaces or at least 6 spaces EV Ready. Install listed raceway capable of accommodating a 208/240-volt dedicated branch circuit. The raceway shall not be less than trade size 1 (nominal 1-inch inside diameter). The raceway shall originate at the main service or subpanel and shall terminate into a listed cabinet, box or enclosure in close proximity to the proposed location of the EV space. The service panel and/or subpanel shall provide capacity to install a 40-ampere minimum dedicated branch circuit and space(s) reserved to permit installation of a branch circuit overcurrent protective device. When multiple charging spaces are required, raceway(s) is/are required to be installed at the time of construction. The raceway(s) shall originate at a service panel or subpanel(s) serving the area, and shall terminate in close proximity to the proposed location of the charging equipment into listed cabinet(s), box(es), enclosure(s) or equivalent. Plan design shall be based upon a 40-ampere minimum branch circuit. A parking space with EVSE cannot also be counted as EV Ready.